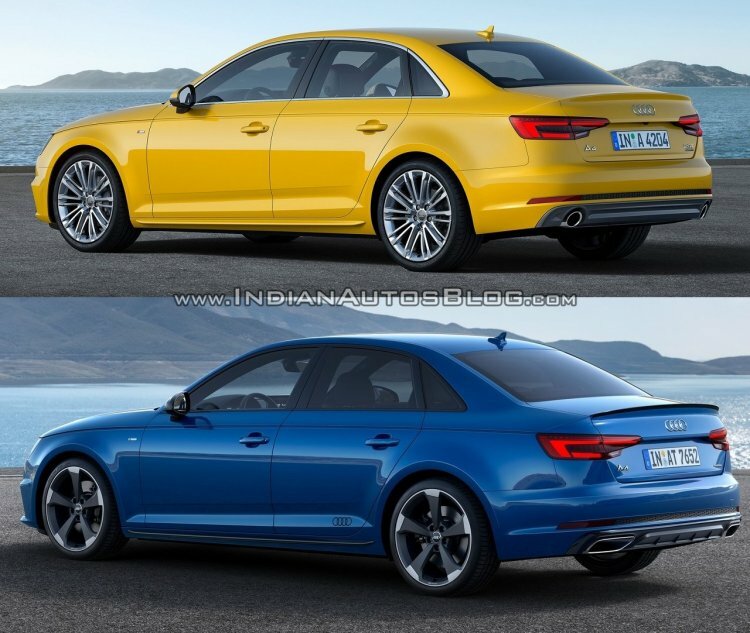 Audi has released the first photographs of the A4 facelift. The 2019 Audi A4 features subtle cosmetic changes and slight revisions to the interior. The facelift comes out exactly three years after the debut of the fifth generation B9 Audi A4, unusually quick for an Audi. Changes to the front are subtle and restricted to the front bumper. There will be new alloy wheel designs on offer. The front section gets a new bumper with pentagonal air inlets and U-shape fog lamp housings. There are new 5-spoke alloy wheels on the side and an updated rear bumper with trapezoidal exhaust tips. The model pictured here has black finish outside mirrors, front splitter, and grille. These elements will feature different finishes based on the variant. Expect a chrome finish front grille, chrome window garnish, and body colour ORVMs on models specced in other grades. Inside, the S line competition package brings with it RS carbon inlays, a new 3-spoke steering wheel, and sports seats. Again, the appearance of the cabin will vary with the trim selection. Official documentation from Audi does not specify any changes to the infotainment system. There is no mention of any additional features either. The 2019 Audi A4 is likely to continue with the same engine and transmission options. These include 1.4 L TFSI petrol, 2.0 L TFSI petrol, 2.0 L TDI diesel, and 3.0 L TDI diesel engines. All petrol and diesel engines are available with a 7-speed S tronic transmission. The 2.0 L petrol and 2.0 L diesel quattro variants can be had with a 6-speed manual as well. The range-topping 3.0 L TDI quattro model gets an 8-speed tipronic gearbox. Aside from a new bumper, there are no discernable changes to the rear end. The lip spoiler is part of an exterior package and not included in the regular kit. In Germany, the new 2019 Audi A4 will go on sale in sedan and estate (Avant) body styles in the third quarter of 2018. Expect a global rollout towards the end of 2018. The current A4 was launched in India in September 2016. 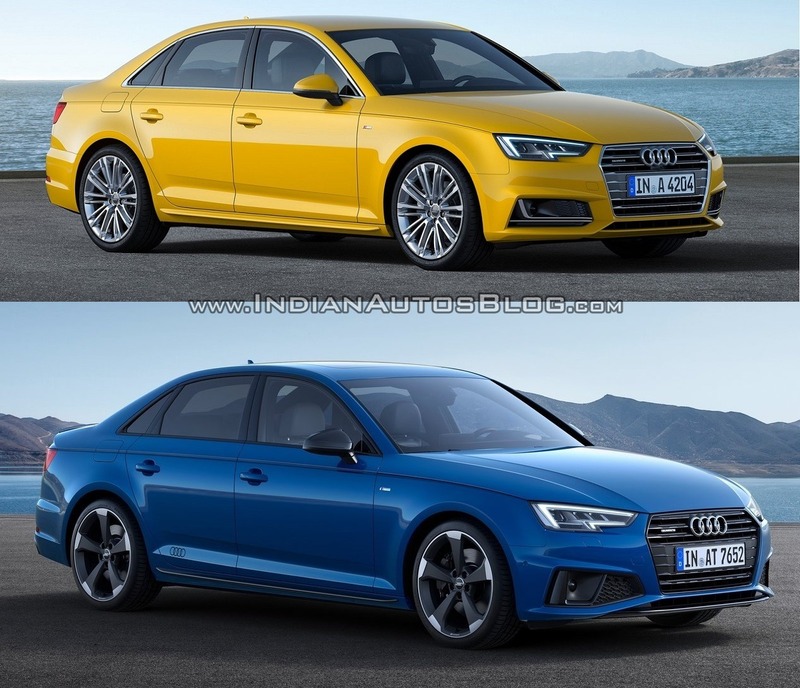 The launch of the MY 2019 A4 is likely to take place within 12 months.